Rep. Tom Lantos: You have nothing to be ashamed of? 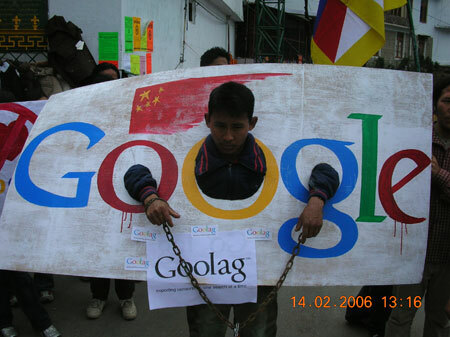 Google [Vice President Elliot Schrage]: I am not ashamed of it, and I am not proud of it…We have taken a path, we have begun on a path, we have done a path that…will ultimately benefit all the users in China. If we determined, congressman, as a result of changing circumstances or as a result of the implementation of the Google.cn program that we are not achieving those results then we will assess our performance, our ability to achieve those goals, and whether to remain in the market. I’m sure that spin will play well in Dharamsala.